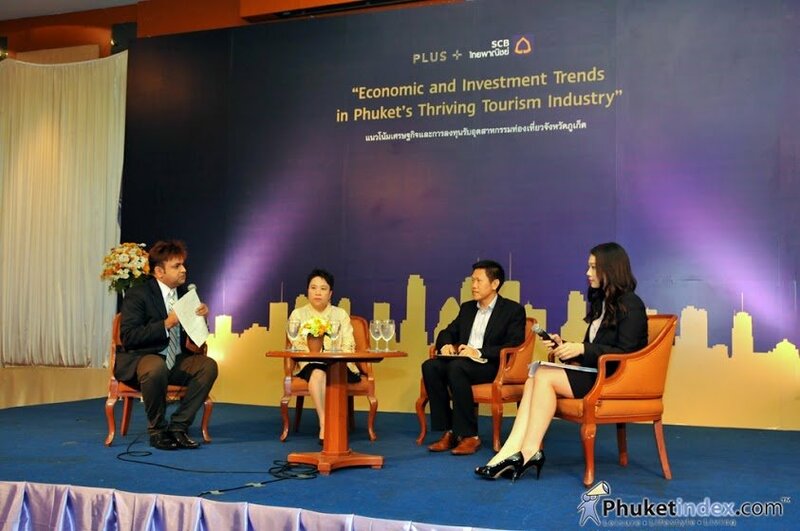 On Thursday 20th March 2014, at the Grand Ballroom 2, 2nd floor, of the Royal Phuket City Hotel in Phuket Town, Plus Property Company Limited and Siam Commercial Bank held a seminar entitled “Economic and Investment Trends in Phuket’s Thriving Tourism Industry”. Attendees at the seminar included media, real estate agents, property owner and the general public. The seminar was conducted in both English and Thai. 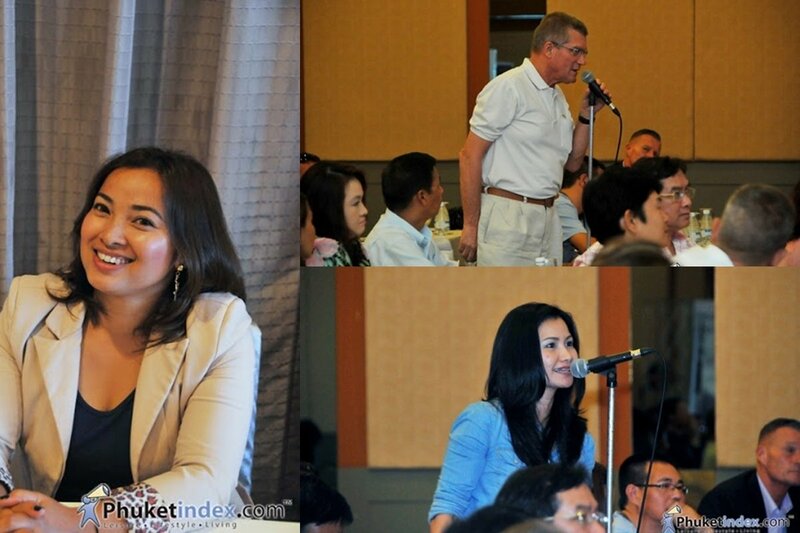 • Economic outlook in Phuket. • Thriving tourism industry in Phuket. • Rising residential property demand in Phuket. • Market for apartments and condominiums in Phuket. • Investment guide on buying and renting condominiums in Phuket. The seminar finished with a Q & A. session and group photographs. 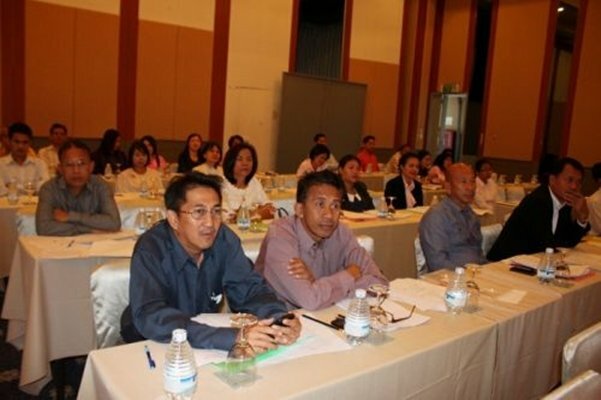 On March 11th 2014, a seminar on decentralization to local government organizations (LGOs) was held by PPAO at the Royal City Hotel in Phuket Town. Hosting the seminar was Chief Executive – Paiboon Upattising together with his team consisting of Deputy Chief Executive – Chawalit Na Nakorn, Chief Administrator – Watcharin Pathomwattanapong, Council Members, Division Heads, officials and administrators as well as representatives from LGOs and involved agencies. Altogether, there were 120 participants. 1. PPAO will undertake public work within the province that is deemed too large a responsibility for certain LGOs or when responsibilities of some LGOs are seen to be overlapping. 2. 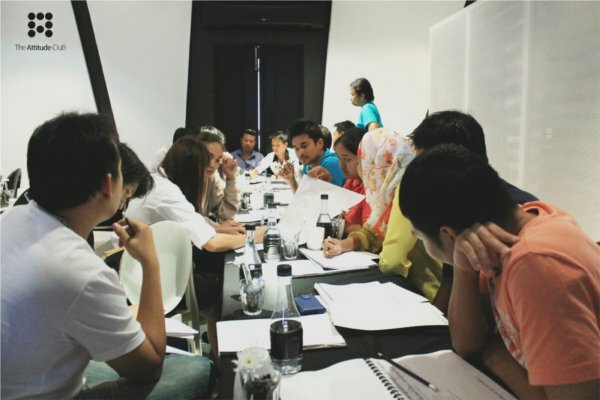 LGOs are to create their own operational plans and coordinate with PAOs to make a master plan for the whole province. 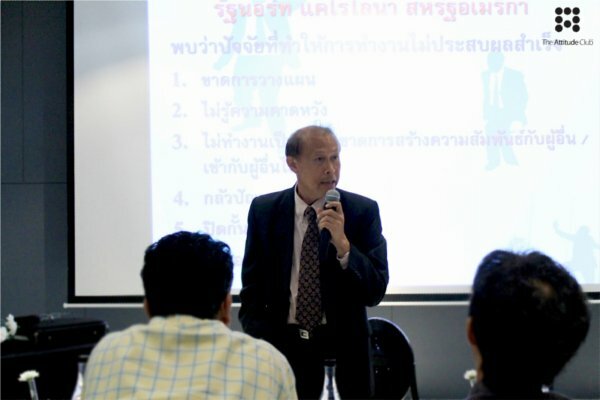 Chief Administrator Watcharin said that the seminar, funded by PPAO, aim to develop knowledge of decentralization to LGOs, government agencies, PPAO Council Members and involved agencies for greater coordination and to ensure smooth transfer of functions from PAOs to LGOs without interrupting productivity and efficiency of the public services. He added that the seminar has been given support by DLOC, whose Director – Weerachai Chomsakorn was present at the seminar. DLOC provided six speakers to lead the seminar. In his speech, Mr Paiboon emphasized the importance of all attendees actually applying what they learn from the seminar in their public service work. He thanked Mr Weerachai for being present and for providing the seminar leaders. Decentralization, he said, means that LGOs are trusted with certain autonomy to carry out their public work while DLOC is responsible for developing policy. He continued to say that Phuket is a small province with 19 LGOs. PPAO alone has operational budget of 1,000 M baht while a budget for all LGOs is set for 4,000 M baht. He urged all to work hard as use the funds effectively for public services. 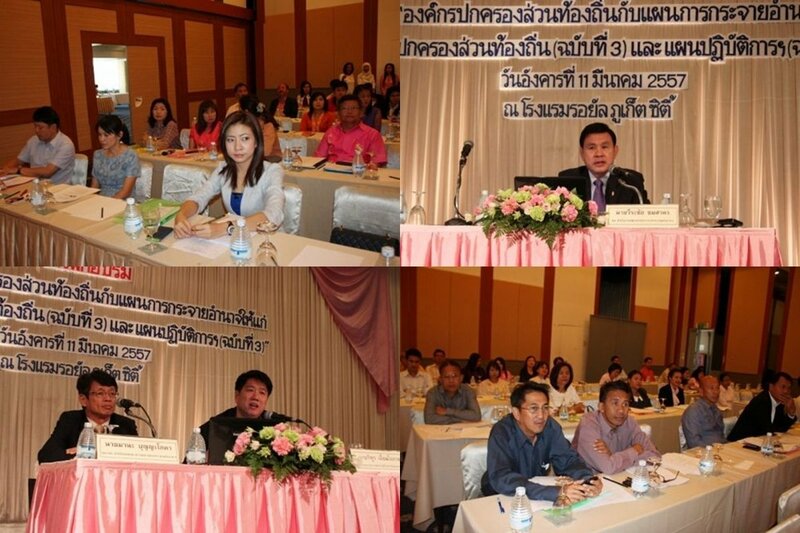 “PPAO is the first in Thailand to broadcast its council meeting. I would like the decentralization process to be transparent and the funds used with utmost efficiency. I thank all PPAO officials who work hard to keep our budget on track and I expect the same from our LGOs. I would like our Council to be able to monitor transparency in using funds by LGOs. Decentralization means giving power and spreading equality among locals and locals should be able to check our work. 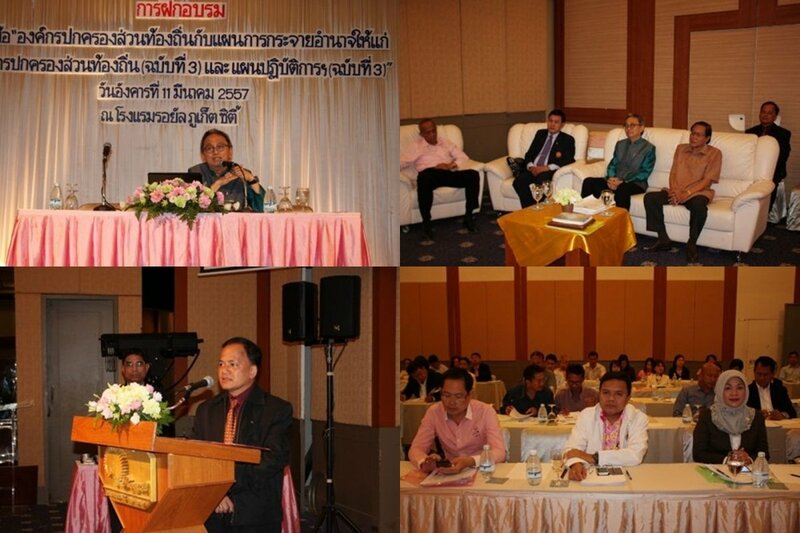 This is democracy and Phuket province will be the top model for decentralization of power,” concluded Mr Paiboon. 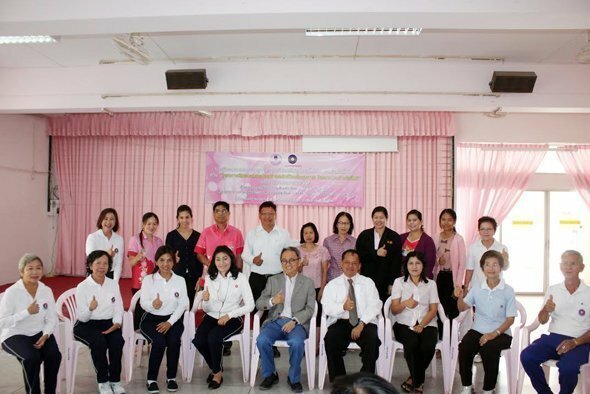 On February 18, a health seminar was held by PPAO Health Division at its Prachakom Hall in Phuket Town. PPAO Chief Paiboon Upattising opened the seminar, with PPAO Administrator – Watcharin Pathomwattanapong, PPAO departmental heads and officials in attendance. Entitled “How to use Dao De Xinxi techniques to enrich your life and work”, the seminar, taking place between February 18-23 and attended by 100 individuals, is divided into two main activities: a one-day workshop held in Phuket and led by speakers and experts (including Dr. Wethanee Karnkorkul) from Phuket Dao De Xinxi Club; and a study trip to the International Laozhu Dao De Xinxi Training Center in Kanchanaburi. The training topics include: using Dao De techniques to enhance life and work, demonstrations of movements and meditation, among others. Mr. Paiboon revealed that the Phuket Dao De Xinxi Club, which has about 1,000 members, offers free classes daily at the public parks in three districts in Phuket. As an organization concerned with public health, PPAO has just constructed a new park in Kathu. Two more are being planned for Kok Chana Pamah area in Thalang, and also in Chalong. The aim is to have public parks in every district and village of Phuket. “Dao De is a principle that teaches man to be kind to each other. People going to the workshop in Kanchanaburi will gain knowledge and experience health benefits from this science, at the same time revitalize your mind and body. Please keep a positive state of mind and you will be empowered and in turn you can help others. This program is in line with our policy ‘Mueang Na Yu Ku Kunatham’, which is a drive to make Phuket a happy place inhabited by morally upstanding community members,” concluded Mr. Paiboon. Phuket’s Kata Thani Phuket Beach Resort was recently the venue for a climate change seminar presided over by Dr. Sutthipan Jitpimolmas – Director of The Thailand Reserch Fund, and entitled “The Third China – Thailand Joint Seminar on Climate Change”. 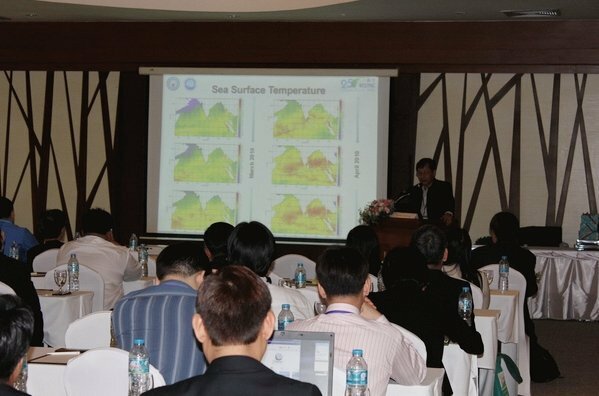 The seminar was organised with cooperation from the National Natural Science Foundation of China (NSFC) and Phuket Marine Biological Center. 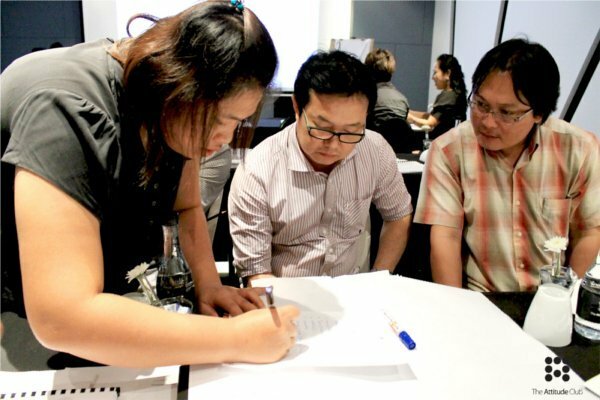 On Tuesday May 21st 2013, The Attitude Club’s Saiyuan Estate and Wings Projects arranged a “Leadership Development and Construction Development Seminar” which was held at Phuket’s Foto Hotel. At the seminar, Mr. Udomdetch Burapak, Leadership Development Lecturer of the Bangkok based DeOne Executive Leadership Development Center, Customer Service Manager – Mr. Tawarat Termthong and Purchase & Quantity Survey Manager – Miss NatthakarnSirimanee gave lectures in their specialist fields regarding Construction Development. 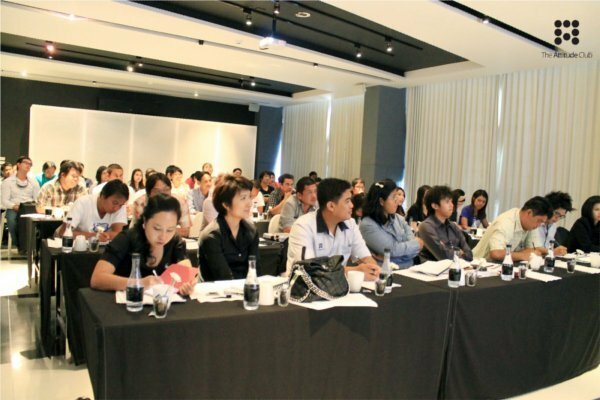 The seminar was attended by the company’s contractors and The Attitude Club Real Estate staff, all of whom wish to improve the Real Estate construction development standard in Phuket. 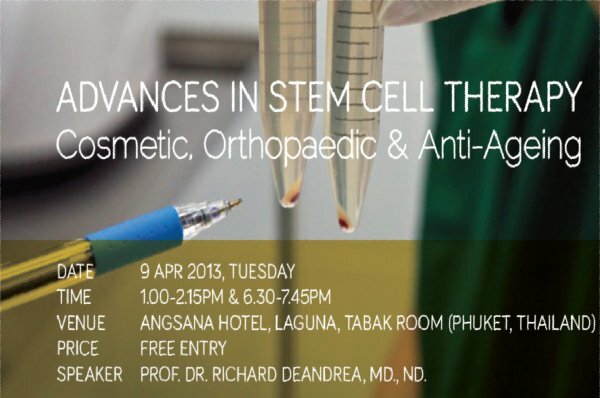 On Tuesday April 9th Angsana Laguna Phuket is to host a Stem Cell therapy Seminar at its Tabak Room entitled ‘Advances in stem cell therapy; Cosmetic, Orthopaedic & Anti-Ageing’. Stem cell therapy is considered one of the most exciting new advances of modern medicine, increasing human potential by promoting renewal through self-healing. Renowned expert, Dr Richard DeAndrea, will, for the first time in Phuket, be holding a seminar to highlight the latest developments in this exciting arena and answering questions from the public. Arthritis, autism, macular degeneration in the elderly, athletic injuries, chronic lower back pain, stroke, lung diseases and hair loss have all been reversed using stem cell therapy. It is also used for cosmetic purposes and anti-aging. “The ability for the human body to self-heal is only now starting to be understood. It will open up some life-changing opportunities for renewal and self-improvement. I’m very happy to be sharing the latest research and treatment options in Phuket” Dr DeAndrea said. Dr DeAndrea will be hosting the free event, which is split into two sessions, 1pm-2.15pm and 6.30pm-7.45pm. Light refreshments will be served. Free 20 minute private consultations can also be booked between 3.30 & 5.30pm. Dr DeAndrea is also available for consolations on Wednesday 10th from 10-5pm. For information please contact +65 687 18791or email info@regenetec.com to book a slot. Visit: www.regenetec.com for more info. Treatment takes place in the Regenetec Bangkok clinic.